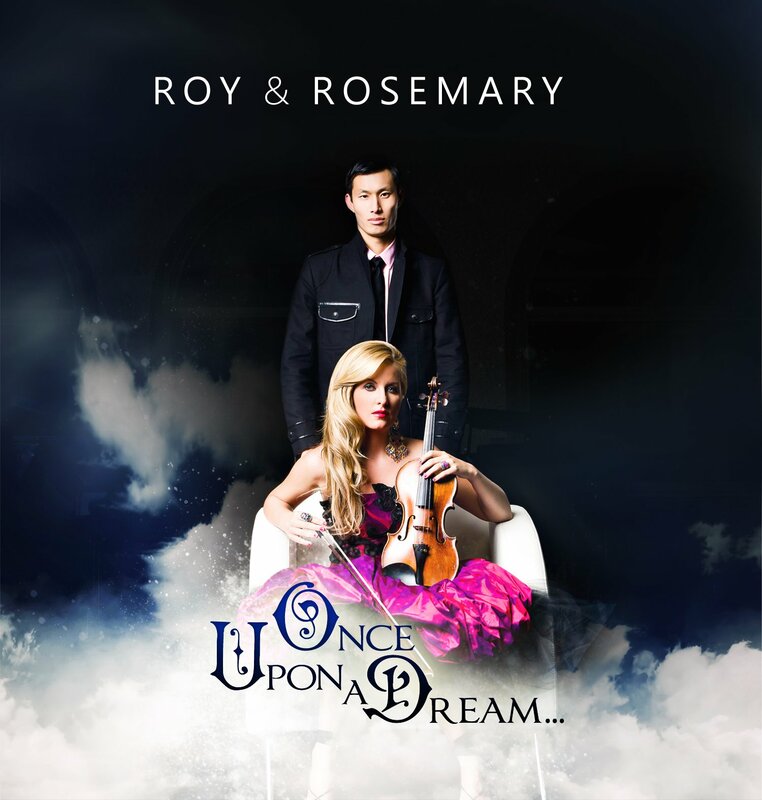 Highly gifted, charismatic and musically soulful, Pianist Roy Tan and violinist Rosemary Siemens, are musicians at the top of the improvisational craft. Their music features lush and captivating arrangements of familiar and contemporary numbers, with a highly cinematic and theatrical influence. Their diverse styles are an artful palate of sound, using elements of jazz, pop, and classical music, expanding beyond the limits of any single genre. This results in a thrilling live experience where their shows have many instances of exciting audience participation, often including a request set as well as a fun and imaginative creation session, leaving things “unhinged” for both the audience and the artists on stage. Roy & Rosemary recently had the distinct honour to write a Concerto for the Ambassador of Rome to the world and premiered it in Rome, with the Ambassador in attendance, at the World’s biggest Sacred music festival. This duo has already performed in a diverse number of venues ranging from intimate house concerts, to New York’s famed ‘Carnegie Hall’, including a performance as the first ever solo instrumentalist at St. Peter’s Basilica and the Sistine Chapel at the Vatican; at the Egyptian Consulate in Washington DC; at The Miss America pageant in Las Vegas as well as performances at the Beijing and Vancouver Olympics; and even opening Hockey Night in Canada.